I was talking to a group of my social studies friends not too long ago about how easy it is to fall into a rut--even with the fun stuff. 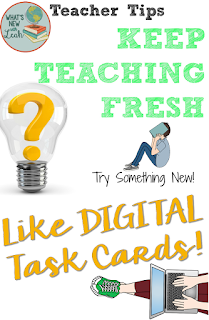 Kahoot!, Jeopardy, Quizlet Live, Quizziz, Gallery Walks, Cutting and Folding, Stations--these are all fun, for us and the students, but once you're halfway through the year and you've done all of this, it's time for a change. My school went 1:1 in August of 2016, and I've been blending my interactive notebooks (paper/digital hybrid) since January of 2016, so there's a lot of variety in my classroom. Here's a free guide about how to do it. We color, we fold, we paste, we drag and we drop, we flip, we type, we use task cards as games and for we use them for review. But assign the same thing over and over, and it becomes as stale as lecture and notes (which are great, used sparingly). So I've decided to mix it up a bit with digital task cards. Have you ever noticed that changing the format and medium of something makes it more interesting? 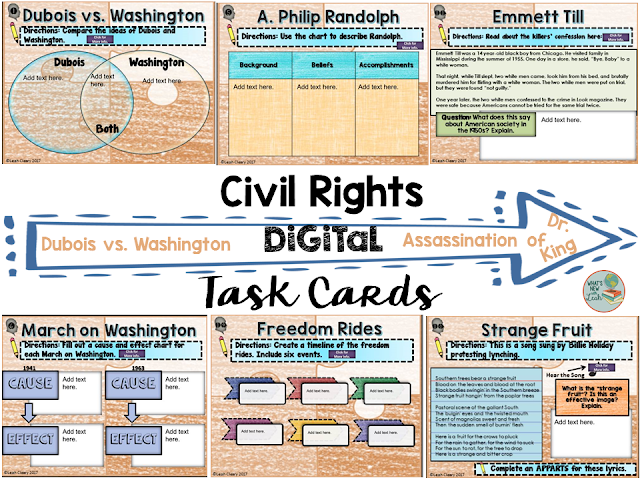 That's what I've done with these digital Civil Rights Task Cards, and I'm very pleased with the results. I assign these to my students in Google Classroom, so there's no prep on my part. It's basically a web quest, but don't tell them that. This format allows me to have them do comprehensive research over the American Civil Rights Movement in small bites, so they don't realize they are doing comprehensive research. When they finish all 24 cards, there are four additional cards with mini-projects. I have them choose one to complete as an extension activity. This way, when February and the Black History Program arrive, my students already have a good understanding of key events and the progression of the Civil Rights movement. What strategies are you using to "freshen" up your content halfway through? Leave a comment below to let me know. And be sure to check out the links below to find out what new things other social studies teachers are doing this year in their classrooms! 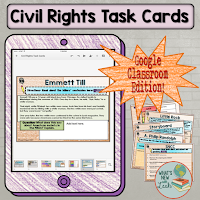 You make digital task cards seem so easy! Thank you for all of your great tips and resources - I can't wait to make some for my students! 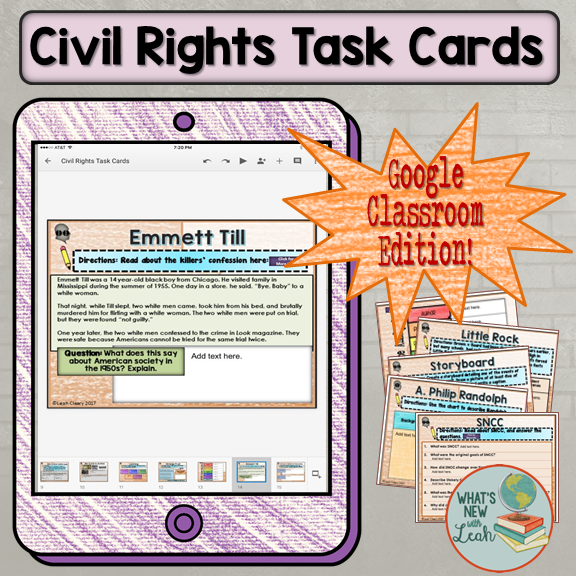 Creative idea...I've never used task cards in Social Studies and will have to give it a go!